Agents of S.H.I.E.L.D. took a step back from the overarching plot of season in its 100th episode to reflect on how far its characters have come and how much further they have yet to go – we just hope they’ll all be around for it. “The Real Deal” was filled to the brim with emotions, most potently fear and love, and the theme really boiled down to choosing one over the other. Just how did our favorite agents fare? Let’s find out. “The Real Deal” opens on an eerie camera view of the glowing blue crack that will define the episode, as a nun walks by the background and a Hulk-like creature grows closer. Already it’s clear some kind of horror show is being set up, but the audience is not yet privy to the details. After a brilliant title sequence that takes us through every Agents of S.H.I.E.L.D logo thus far, May (Ming-Na Wen) and Coulson (Clark Gregg) check in on Fitz (Iain De Caestecker), who’s just finished analyzing the area within their bunker. So far it’s an underground forest complete with sun and sky, and the cause is a rip in space-time. Could this be the cause of the end of the world? Simmons (Elizabeth Henstridge) is taking care of Yo-Yo (Natalia Cordova-Buckley), but nothing can bring back her arm. 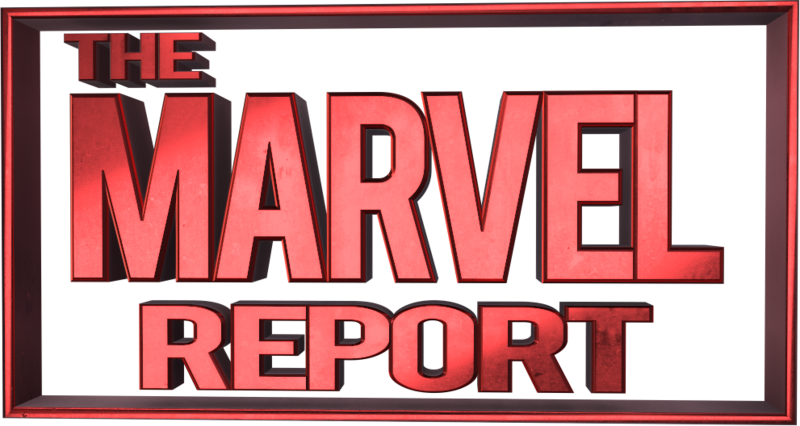 When Mack (Henry Simmons) comes in to see her, they commiserate about the fractured future they witnessed coming through. Their chemistry brightens even the darkest of scenes, and it’s especially sweet when Mack offers to carry her out of the bunker and S.H.I.E.L.D. to start over somewhere else. But once again Yo-Yo is the voice of reason, pointing out that they must stay and fight if there’s even a chance of changing their tragic fates. Daisy (Chloe Bennet) and Deke (Jeff Ward) search through the supply closet for medications that will help Yo-Yo’s pain, though Deke is temporarily distracted by orange-scented air freshener and shares his childhood memories with Daisy. They are a few seconds away from a moment when a Kree interrupts out of nowhere and attacks them, which is a surprising development that could easily lead on to think Coulson is right about the end of the world. But instead, Fitz explains that the Monoliths tore open a fear dimension when they exploded. There isn’t much in the way of scientific explanation, but that’s not important for “The Real Deal” because this episode is all about the heart. Speaking of which, the heart of the episode shows itself very quickly when Fitz comes up with a way to use Deke’s gravitonium belt to seal the breach and needs someone to potentially sacrifice themselves taking it down. Coulson immediately volunteers, which leads to an outcry from every other agent – naturally no one wants to lose their leader. 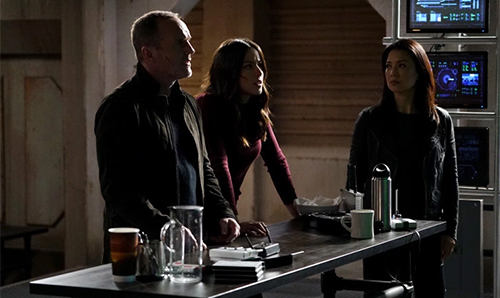 May and Daisy each volunteer themselves while Fitz humorously volunteers Piper, but things get much more serious when Daisy confronts Coulson about putting himself at risk and he fires back that she’s the future of S.H.I.E.L.D. Gregg and Bennet give excellent performances as their discussion elevates to full-on fight, right up to the point that Phil collapses in front of his family. Simmons checks Coulson out and reveals to the team that the necrotic tissue inside him will unequivocally lead to his death. A heartbreaking silence permeates the scene, even as May and Coulson discuss the specifics of how long he’s known this terrible truth. Once again, his penchant for secret-keeping hurts everyone he loves, but it’s never been easier to believe he had the best of intentions. Daisy’s pain is especially intense, given the high esteem in which she holds Phil – not to mention how much her life changed because of him. “You are what I believe in,” she tells him as she falls apart, and heartache has never felt more acute. Their special bond is on full display this episode, with Daisy even being referred to as “the daughter [he] never had” in a sequence that is sure to get a tear out of even the strongest viewer. But they’re not the only ones to get a beautiful moment, as Philinda have their own heart-to-heart as well. Melinda realizes that this is why Phil took a step back from them, and she refuses to give up on him even though he’s made his peace with dying. Elena wakes up from a restless sleep only to find Jemma standing over her, suggesting that she end her own suffering now and Mack’s as well. She then proceeds to start suffocating Yo-Yo with a pillow, yet another fear manifestation come to life. This time when the real Jemma shoots herself, it’s revealed to be a Life Model Decoy before disappearing altogether. The fear is spreading, and Coulson has to go down to the basement before it’s too late. Daisy and the rest of the crew are on comms, but they short as soon as Phil gets within range of the Final Boss of fears. And what should be waiting for him? Mike Peterson, also known as Deathlok (J. August Richards), and the first person the Agents of S.H.I.E.L.D. saved in the pilot. This time, the fear has no weapons and expresses no rage. Instead he weaves the most horrible story of all: Coulson never made it to “Tahiti” and was never brought back from the dead. The entire series has been his dying conscience making sense of random synapses and concocting a story based on both past memories and the regrets of a future he’ll never reach, and Peterson himself is just an EMT. There are moments where this explanation almost makes sense, and it was only faith in the show that convinced me they would never take this route. Similarly, Coulson’s own faith in his team and himself prevents him from falling prey to his own fear – allowing him fight back against the fictional Mike and continue to plunge ahead. This coincides perfectly with Deke returning from the outside world with a S.H.I.E.L.D. quinjet and several agents ready to help, including Mike Peterson who is in fact “The Real Deal.” It’s a beautiful full circle that gives us a glimpse into how Coulson changed Mike’s life for the better, even though not much dialogue is given him to update us on exactly how he’s doing. He actively saves Coulson in a poetic reversal from how they first met, and together they fight everyone’s fears and close the breach. The climactic battle is filled with memories of previous episodes, but the episode still manages to save some of the best for last. Early on, it seemed that “The Real Deal” was suffering from a bit of split personality, seeing as how moments after Coulson passed out he was giving Deke orders to venture into the real world and “check things off the to-do list.” The list wasn’t explained, but Deke seemed rather serious about fulfilling his mission. He steps outside with sunglasses, a hat and his new favorite ice cream in order to complete the mysterious task. Meanwhile, General Hale is on the hunt for Deke and Daisy only to learn that the former has no records whatsoever. Before Phil steps into the breach, he makes Fitz promise to do “that other thing we talked about” even if he doesn’t make it out alive. Fitz insists it’s just symbolic, but Coulson responds that institutions are important and people need hope now more than ever. The picture is becoming clearer, and yet it’s still not obvious exactly what they’re talking about. Even after the battle is won, a fun discussion over who is really responsible for saving the day dovetails into a moment of Fitz stalling before a vague fate that awaits him. What exactly awaits him? Coulson fixes Fitz’s suit, and suddenly everything is clear. The elevator doors open to lush green, with Jemma waiting on the other side in an adorable second hand wedding dress. 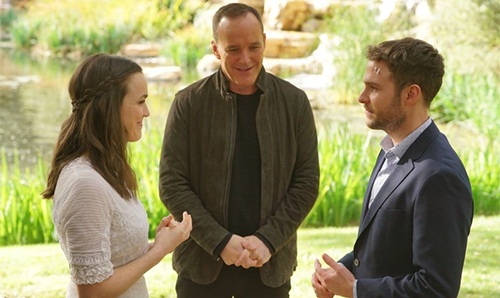 Coulson marries two of his favorite people, and Henstridge’s performance is especially affecting as she tears up during the reading of her emotional vows. Everyone’s faces as they watch the wedding ceremony are filled with exactly the kind of hope that Phil said they needed, and small touches like Mack recording the vows for Yo-Yo takes the scene to next level. At the same time, Deke keeps interrupting the wedding to ask Mike questions about the bride and groom, even pointing out that that Jemma’s wedding ring looks just like his grandmother’s. Once again, the penny drops just as General Hale finds out in a totally separate location that Deke is a partial DNA match for Jemma and Leo. And so, the 100th episode ends not just with a sense of hope but also of legacy. Let’s just not point out that if the Agents of S.H.I.E.L.D. manage to save the Earth, Deke may never be born.